The only infantry regiment that thought itself worthy of a Guards uniform in the Toronto area are / were the Royal Regiment of Canada, which I believe this is. Last edited by Dan M; 19-02-19 at 01:38 AM. Having had a look at my copy of Mazeas, the cap star in the photo is that of the RRC's predecessor; The Royal Regiment of Toronto Grenadiers. However, that does not correspond to the date which you provided, as the regiment only existed under that name from 1936 to 1939. Are you sure about the photo date being 1940? A date of 1939 would also account for wearing of No 1 dress, as those tended to be stored away during the war. Wow! First off thank you for looking into this further. That particular badge is among the ones that have been passed on to me (and showing more signs of wear than the majority of the badges I have). It is TOTALLY possible that the date attributed to the photo is incorrect. I also have two C/3 collar badges on a beaver from the same 1936/39 time period identified by a Forum member as belonging to the Grenadiers. 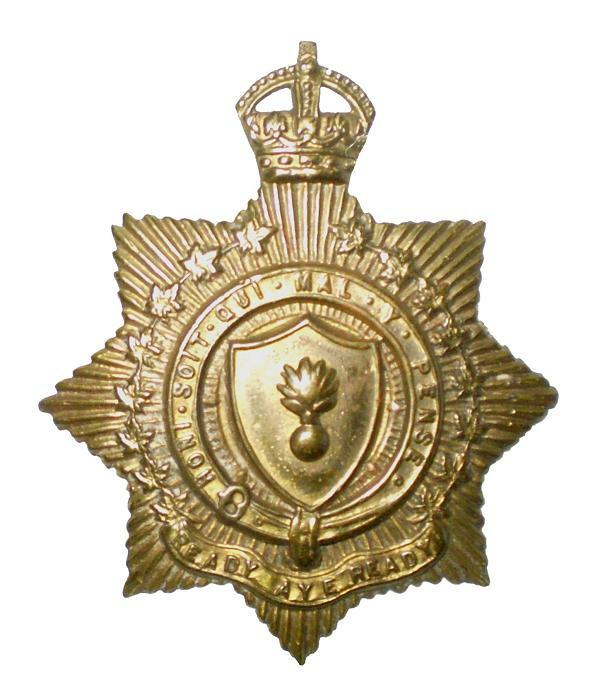 The Royal Regiment of Canada was authorized their new badge under the GO 181/1939, but documentation suggests the new design of the badges were not ready by the time the Royal's embarked for overseas. In the meantime, they continued to wear their former badge. So, would those former members of The Toronto Regiment continued to have worn their badge as well? What about those men recruited straight from civilian life for the active service battalion? What would have dictated which cap badge they were provided? Just curious. Hi Dan, They would have worn what was available. There were supplies of the First WW general list badges for new recruits. Some fellows from the militia would wear their old badges, sometimes collar badges were worn. Several units from 2 CID were authorized to purchase badges when they arrived in the UK. That included the RHLI, Carleton & York Regt, and iiuc, the Royal Regiment. There may have been more.